THIS is sickening and typical of liberal weenie ingratitude. 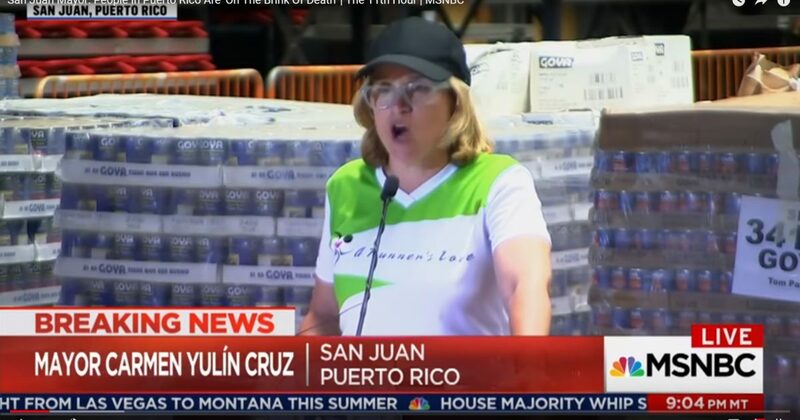 After the governor of Puerto Rico praised President Trump for such a rapid response to the devastation from Hurricane Maria, San Juan’s Democrat mayor was quick to trot out the liberal narrative, making the governor look like a liar and President Trump look like a clueless buffoon. Why aren’t you on the front lines passing out that aid, you nasty liar, instead of in front of a microphone bitching that you are not getting enough? You don’t look like you are dying to me.